An estimated 5.2 million Americans have Alzheimer’s disease in 2014, including approximately 200,000 individuals younger than age 65 who have younger-onset Alzheimer’s. Almost two-thirds of American seniors living with Alzheimer’s are women. Of the 5 million people age 65 and older with Alzheimer’s in the United States, 3.2 million are women and 1.8 million are men. The number of Americans with Alzheimer’s disease and other dementias will escalate rapidly in coming years as the baby boom generation ages. By 2050, the number of people age 65 and older with Alzheimer’s disease may nearly triple, from 5 million to as many as 16 million, barring the development of medical breakthroughs to prevent, slow or stop the disease. More than 500,000 seniors die each year because they have Alzheimer’s. If Alzheimer’s was eliminated, half a million lives would be saved a year. Alzheimer’s is officially the 6th leading cause of death in the United States and the 5th leading cause of death for those aged 65 and older. However, it may cause even more deaths than official sources recognize. It kills more than prostate cancer and breast cancer combined. In 2013, 15.5 million family and friends provided 17.7 billion hours of unpaid care to those with Alzheimer’s and other dementias – care valued at $220.2 billion, which is nearly eight times the total revenue of McDonald’s in 2012. More than 60 percent of Alzheimer’s and dementia caregivers are women. All caregivers of people with Alzheimer’s – both women and men – face a devastating toll. Due to the physical and emotional burden of caregiving, Alzheimer’s and dementia caregivers had $9.3 billion in additional health care costs of their own in 2013. Nearly 60 percent of Alzheimer’s and dementia caregivers rate the emotional stress of caregiving as high or very high, and more than one-third report symptoms of depression. Alzheimer’s disease is the most expensive condition in the nation. In 2014, the direct costs to American society of caring for those with Alzheimer’s will total an estimated $214 billion, including $150 billion in costs to Medicare and Medicaid. Despite these staggering figures, Alzheimer’s will cost an estimated $1.2 trillion (in today’s dollars) in 2050. Nearly one in every five dollars spent by Medicare is on people with Alzheimer’s or another dementia. The average per-person Medicare spending for those with Alzheimer’s and other dementias is three times higher than for those without these conditions. The average per-person Medicaid spending for seniors with Alzheimer’s and other dementias is 19 times higher than average per-person Medicaid spending for all other seniors. The financial toll of Alzheimer’s on families rivals the costs to Medicaid. Total Medicaid spending for people with Alzheimer’s disease is $37 billion and out-of-pocket spending for individuals with Alzheimer’s and other dementias is estimated at $36 billion. Women are at the epicenter of the Alzheimer’s crisis. A woman’s estimated lifetime risk of developing Alzheimer’s at age 65 is 1 in 6, compared with nearly 1 in 11 for a man. As real a concern as breast cancer is to women’s health, women in their 60s are about twice as likely to develop Alzheimer’s during the rest of their lives as they are to develop breast cancer. Not only are women more likely to have Alzheimer’s, they are also more likely to be caregivers of those with Alzheimer’s. More than 3 in 5 unpaid Alzheimer’s caregivers are women – and there are 2.5 more women than men who provide 24-hour care for someone with Alzheimer’s. Because of caregiving duties, women are likely to experience adverse consequences in the workplace. Nearly 19 percent of women Alzheimer’s caregivers had to quit work either to become a caregiver or because their caregiving duties became too burdensome. *The Alzheimer’s Association 2014 Alzheimer’s Disease Facts and Figures includes a special report on women and Alzheimer’s. Inspired by compelling findings published in The Shriver Report in 2010, the Alzheimer’s Association conducted a follow-up poll in 2014 to continue exploring how Alzheimer’s disease affects American women. September is Hunger Action Month, when the Feeding America nationwide network of food banks unites to urge individuals to take action in their communities. The goal of Hunger Action Month is to mobilize the public to act on behalf of Feeding America and our food bank network. It is our opportunity to create a movement throughout September that has a real and lasting impact on our mission to help end hunger in America. This September, join the Vermont Foodbank, Feeding America and Together, We Can Solve Hunger™. As individuals, charities, businesses and government, we all have a role to play in getting food to those in need. How can you help? This September, we are asking you to take simple actions. Donate your status and share your local hunger statistics on Facebook and Twitter. Change your Facebook icon to this. Orthis. Change your Facebook cover image to the “Together we can solve hunger” image. Or the “Be a part of the solution to end hunger” image. Display the Go Orange poster at your business. Wear orange on September 5th. TAKE the 3SquaresVT/SNAP Challenge and live on just $4.50 a day, the daily average per person benefit. Sell limited edition orange Vermont Foodbank euro stickers for $1 and help create 3 meals for your neighbors in need. Are you are a business or organization interested in Going Orange during September? Orange is the color of the anti-hunger movement. To show their support in the fight against hunger during Hunger Action Month, business owners and organizations in cities and towns across America will Go Orange for the month of September. Here are some ways you can get involved. Sell Orange: Businesses can sell limited edition orange Vermont Foodbank bird stickers for $1. Each purchase will help the Foodbank provide 3 meals for our neighbors in need. Use Orange: Businesses can decorate their storefronts and display windows in the coloe orange to show their support in the fight against hunger. Share Orange: Use an orange profile or cover photo on your Facebook page for the month of September. Also make sure to “like” the Vermont Foodbank and share our Hunger Action updates to help spread the word. Wear Orange: Join food banks and businesses nationwide in taking action against hunger by wearing orange on Thursday, September 5th. If you are a business or organization interested in Going Orange during September, please complete the Go Orange Form or download the form here. Stephani Kononan, our Marketing & Promotions Manager, will follow up with you soon. If you have questions, contact her at skononan@vtfoodbank.org or 802-477-4121. 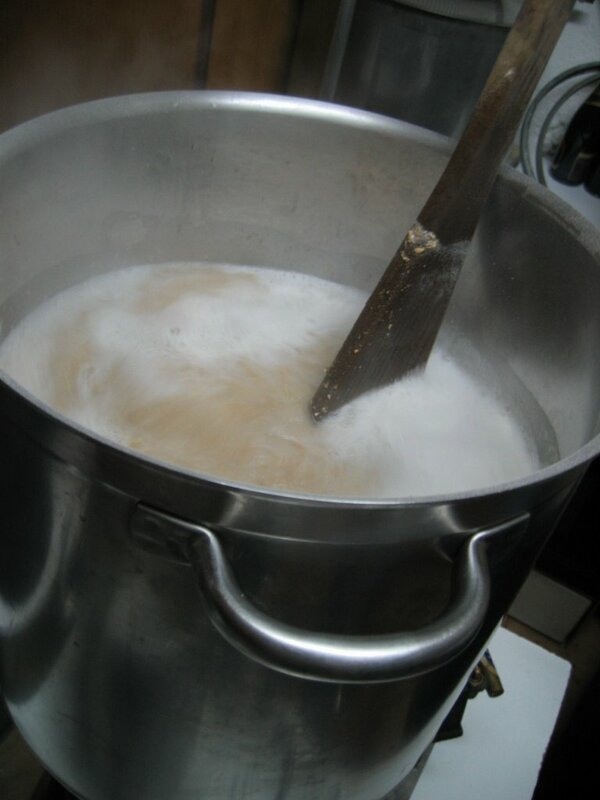 In a previous article (Homebrew Cleansing) I provided the details of the final demise of the last beers from my previous adventures in beer homebrewing, which I gave up more than 10 years ago. For quite a few years I have held onto the hope that I would be able to, someday, begin to brew my own beer again. Well that day has finally arrived! Those of you that know me personally, also know that I am in the process of changing jobs. This is quite a big change for me and it will mean taking on the challenge of something that I really have not done much of in my career… working in one of the few areas of IT where I have not spent a lot of time… software development. I love the challenge of learning new things, so this will be just another great opportunity for me to dig (deep) into a new topic. I am very excited about the new job for many reasons. Aside from the challenges that this job will present for me, it will also take me out of the portion of the IT world that needs to be “on-call” 24/7/365, something that I have been doing for about the last 25 years. This also means that I will get most of my nights and weekends (all holidays and vacations too!) back again… and, very importantly, that I will have the time to resume my beloved homebrewing hobby!! My new job starts on July 1st, about a week from now, but I have already revved up the homebrew engine! All of my equipment had been carefully stored away in hopes that it would get used again someday, so after some cleaning and sanitizing, I was ready to go in short order. I brewed my first batch of beer last weekend (an English-style Old Ale with extra hops). Believe it or not this beer was brewed with some ingredients that I kept in storage with my equipment and were also more than 10 years old! In spite of the age of some of the ingredients, I think/believe/hope that everything will turn out OK. The fermentation of this beer was a bit slow to start, but it worked perfectly once it got going. I transferred that beer to a secondary fermenter (glass carboy) on Friday, where it will sit for the next couple of weeks or so… and then onto bottling. Even though it had been more than 10 years since I brewed last, I was pleasantly surprised that I remembered almost everything that I needed too… a few minor mistakes, which were easily corrected, but pretty much like “riding a bicycle”, fortunately. I brewed another batch of beer yesterday… a hoppy DIPA (Double IPA) which I am hoping will have some nice citrus/grapefruit aromas and flavors. This beer is happily bubbling away right now in the primary fermenter. I’ll be moving this beer to its secondary next weekend, where it will eventually get some nice Cascade hops as a “dry hop” which should (I hope) really improve its hop tastes and smells. Think Alchemist “Heady Topper”… as if I could ever even come close to that masterpiece of the brewing world. I am looking to make a number of changes in my homebrew practices this time around. One of the most immediate is to begin to use bigger beer bottles to preserve my precious beer. Previously I had used recycled 12oz beer bottles… a major PITA on bottling day and a lot of (too much) work. This time around I will be using recycled 22oz bottles… still some work, but only a little more than half the number of bottles. I have plenty of room to store the bottled beer, so the change in size will not really affect anything but the amount of time it takes to clean, sanitize and fill the bottles. My wife, Candy, even though she is not a beer drinker, is excited about me starting to brew again. She has been cleaning the labels off of a stash of 22oz bottles for me to begin using for my own beer. If any of you have performed this task, it is time consuming and not very exciting, so I am really glad to have her help. The other major change I intend to make in my brewing practices is a much more long term change and will require the investment in some new equipment as well as learning a new set of brewing procedures. All of my homebrewing to this point has used liquid and dry malt extracts as a large portion of the “fermentables”. 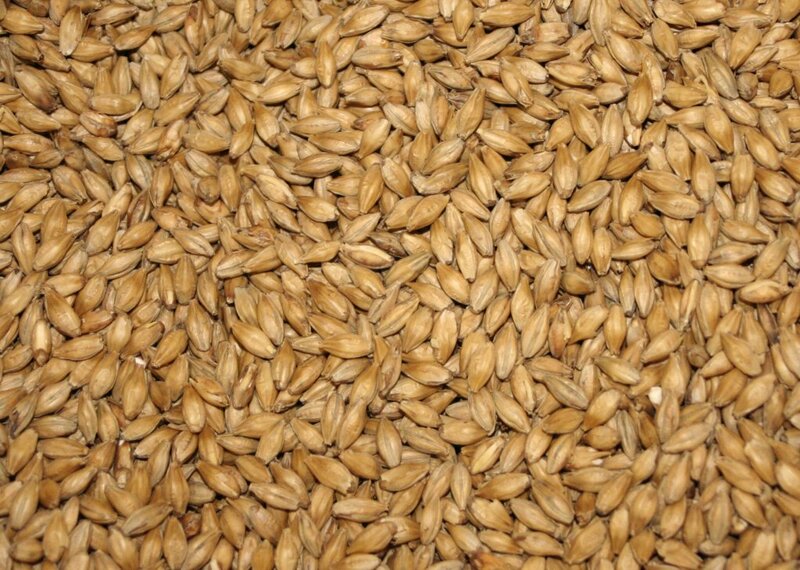 At some point, hopefully soon, I plan to make the transition to “all grain” brewing… brewing the way that real breweries do. Once I get past the cost of the new equipment and the “bumps and bruises” of the new procedures, this change should both greatly improve the overall quality of my beer and significantly reduce cost of producing each batch. The two batches I describe above will cost roughly $0.70 per 12oz bottle or about $1.28 per 22oz bottle… I would expect my all grain recipe cost for either of these beers to be easily half of what I am paying to produce my beer now. As you can probably tell, I am very excited to be brewing my own beer again. I can’t believe how much I missed doing this and that I let the time commitments of my previous job really make this fun hobby impossible to continue. For many reasons, I do not intend to let that happen ever again. Check back here again to hear more about my renewed brewing adventures and to see what new brewing recipe, ingredient or technique has caught my attention or my taste buds! I used to be an avid home brewer… quite a few years ago… nearly 8, to be more exact. Over the 5 years that I participated in this worthwhile hobby, I accumulated quite a cache of saved bottles of my precious brews and have graciously shared these with friends and family . This cache has gradually dwindled down to just a very few bottles over the last couple of years… not the best of my production, perhaps, but the final ones none the less. I have decided that it is time to get rid of these… in hopes that I can restart my hobby and produce many more of the same (hopefully better). Batch #31 – IPA (ABV 5.7%) – Approximately 8 years old – Lightly carbonated. Pours a darkish amber in color with nearly no head at all. Aroma is, surprisingly, still hoppy, though quite muted. The hop flavors have almost entire disappeared… leaving just a bit of the bitterness behind. The malts, on the other hand, have some way forward… almost to the point of over sweetness. Quite oxidized and just a hint of funkiness… though it has held up surprisingly well. I have a couple of these bottles left and will enjoy both of them. Batch # 7 – Scotch Ale (ABV 7.6%) – Approximately 10 years old – Almost no carbonation at all. Pours a quite dark black/brown in color with absolutely no head. This was always a sweet beer, but the aroma betrays a deepening of the sweetness… perhaps beyond what I would generally like. Flavor matches the aroma… nearly sickeningly sweet, but *very* mellow in taste. Oxidation is present. but well hidden behind the sweetness of the beer. Clean on the palate. This is the last of this beer. In its day, it was a very good one and I will miss it. That ends the FINAL tasting of my home brew cache. I hope that you enjoyed it as much as I did… memories are for ever!! In this year’s competition, The Alchemist scored its 2012 WBC Silver Medal for its “Luscious” in the British-style Imperial Stout category. Some of you may remember that this was one of the beers rescued after the devastating flood that occurred during Hurricane Irene in August of 2011; the damage of which eventually caused the very unfortunate closing of The Alchemist Pub & Brewery in downtown Waterbury, VT. The rescue of this beer was one of the bright spots in Vermont beer history, as four Vermont breweries (Alchemist, Harpoon, Hill Farmstead and Rock Art) joined hands to ensure that this very special beer made it to the marketplace. All proceeds from the eventual sale of this beer were used to aid the recovery of Waterbury, which incurred extensive damage from the flood waters. For Lawson’s Finest, the 2012 WBC Silver Medal was earned for their excellent Maple Tripple. This beer is uniquely brewed only once each year during “sugaring season” (Spring) using maple sap, instead of water, from Paul Marble’s maple sugar operation in Fayston, VT. The only other ingredients for this beer are malted barley, hops and ale yeast (and just a bit of maple syrup for carbonation). Both of these brewers have previously won awards at the WBC… a Bronze Medal for Lawson’s Finest for Maple Tripple in 2010’s “Specialty Beer” category… and for The Alchemist a Gold Medal for Celia Saison in 2010’s “Gluten-Free” category. I can speak from my own personal experience that both of the these beers are some of the best I have ever had. Last year at about this time, Sean Lawson, owner/brewer of Lawson’s Finest Liquids (a brewery in Warren, VT) was in the midst of a epic competition that would eventually see his wonderful “Triple Play IPA” crowned as the very best IPA in the whole US. The competition entered was called NIPAC… the National IPA Championship, which has been held for at least the last 5 years. In 2011, Sean matched his Triple Play IPA against 127 IPAs from all over the US in a “bracketed” competition… a la the NCAA Men’s Basketball “March Madness”… that would see only one IPA chosen as the nation’s best for 2011. This year Sean has, once again, chosen to enter one of his “Finest” into the NIPAC competition… Chinooker’d IPA has been chosen to challenge 127 IPAs from around the US in this epic hop battle. According to the rules of the competition, the 128 IPAs are paired up in bracket fashion in a series of 7 challenge rounds, with the winner of each round advancing to the next round in single elimination fashion. The first round was held on February 3rd and the final round, where the National Champion will be determined, is to be held on March 3rd. You can track Chnooker’d’s progress against the 127 other competitors at http://brackets.brewingnews.com/tmenu.cfm?tid=418946. As you will see, as of 2/10, Chinooker’d won the first round against Big Sky Brewing’s Big Sky IPA and has advanced to the 2nd round (to be held tomorrow, 2/11). This bracket will be updated as the competition moves toward the 7th, and final, round. 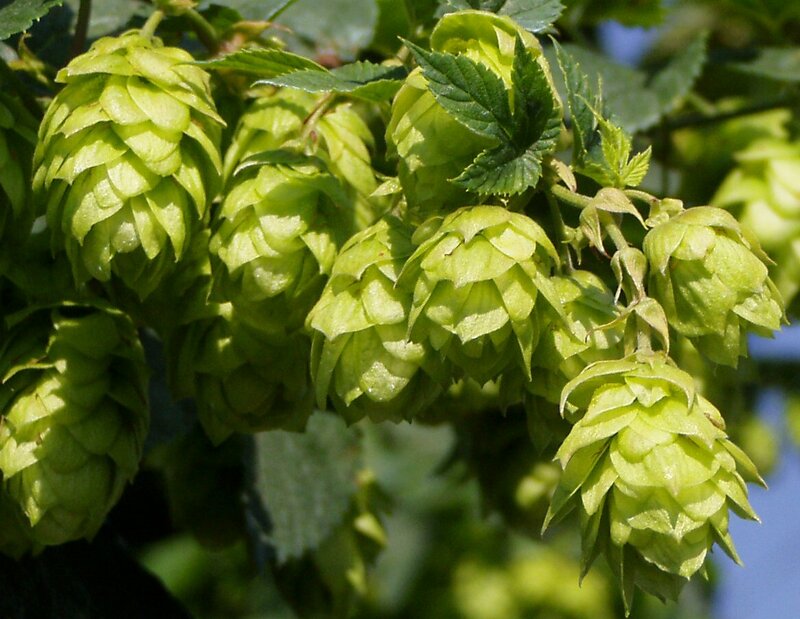 Hoptopia believes in IPA and you should too. Try 3 different IPA style beers in a 30 days period.